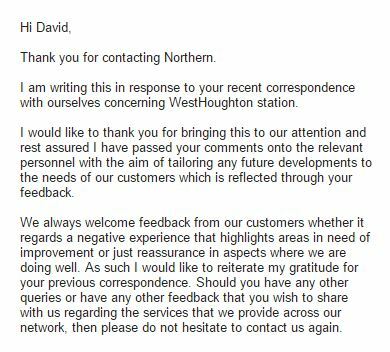 A non-working street light at Westhoughton railway station has been fixed. The light on the Bolton to Wigan platform was repaired by Northern after a complaint by Westhoughton town councillor David Wilkinson. Do you know of any other broken street lights that need attention? Contact us.